We got your back! Fox has renewed the comedy series Breaking In for a 13-episode second season to return to the network's schedule in Spring 2012. The series was canceled in May but now Fox has changed their mind and will bring it back. The sitcom will likely air on Tuesdays in the spring, when Glee goes on a 6 week hiatus and Fox goes to four sitcoms on Tuesday nights. But this is still a long way away, so right now the focus is that the show is returning! The sitcom aired seven episodes this past spring and welcomed guest stars such as Alyssa Milano and Ted McGinley. Created by Adam F. Goldberg and Seth Gordon, Breaking In is a workplace comedy about a high-tech security firm that takes extreme - and often questionable - measures to sell their protection services. The series centers on a team of uniquely skilled oddball geniuses hand-picked to work for Oz, a manipulative mastermind played by Christian Slater. The series also stars Bret Harrison, Alphonso McAuley and Odette Annable (pictured above). 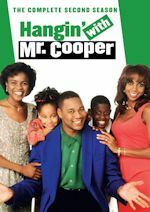 For the week of August 29 - September 2, 2011, we have many current sitcom stars and past sitcom stars on TV talk shows! So get your DVR's (or whatever you use) ready! Ready? Here is all what you need to know for the coming week! Aziz Ansari (Parks and Recreation) - Watch Aziz on a repeat of Jimmy Kimmel Live! at 12am on ABC. William Shatner ($#*! My Dad Says) - Catch Mr. Shatner on the Late Late Show with Craig Ferguson at 12:37am on CBS. Joseph Gordon-Levitt (3rd Rock from the Sun) - Joseph is a guest on a repeat of Conan at 11pm on TBS. Jennifer Aniston (Friends) - Jennifer visits LIVE! with Regis & Kelly, so check your listings. Jason Bateman (Arrested Development/The Hogan Family/It's Your Move) - Jason is a guest on a repeat of Comedy Central's The Daily Show with Jon Stewart at 11pm. Atticus Shaffer (The Middle) - The young and talented Atticus appears on a repeat of Conan at 11pm on TBS. Bryan Cranston (Malcolm in the Middle) - Bryan chats with the ladies on a repeat of The View on ABC at 11am ET/10am CT-PT. Johnny Galecki (The Big Bang Theory/Roseanne) - Tune in to see Johnny on a repeat of The Talk on CBS at 2pm ET/1pm CT-PT. Kevin James (The King of Queens) - Kevin visits LIVE! with Regis & Kelly, so check your listings. Allison Janney (Mr. Sunshine) - Allison chats on The Gayle King Show at 10am on OWN. Aubrey Plaza (Parks and Recreation) - Catch Aubrey on The Late Show with David Letterman at 11:35pm on CBS. Allison Janney (Mr. Sunshine) - Allison stops by The Tonight Show with Jay Leno at 11:35pm on NBC. Jay Mohr (Gary Unmarried/Action) - Jay is a guest on The Tonight Show with Jay Leno at 11:35pm on NBC. Betty White (Hot in Cleveland/The Golden Girls/The Mary Tyler Moore Show) - Tune in to see Betty on a repeat of Jimmy Kimmel Live! at 12am on ABC. Jim Gaffigan (My Boys/Welcome to New York) - Jim visits Late Night with Jimmy Fallon at 12:37am on NBC. Josh Krasinski (The Office) - Watch Josh on a repeat of Conan at 11pm on TBS. 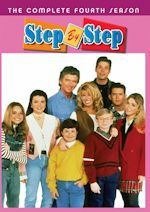 Jason Bateman (Arrested Development/The Hogan Family/It's Your Move) - Watch Jason on a repeat of The View on ABC at 11am ET/10am CT-PT. Jamie Foxx (The Jamie Foxx Show) - Catch Jamie on a repeat of Jimmy Kimmel Live! at 12am on ABC. Kathy Griffin (Suddenly Susan) - Kathy drops by Late Late Show with Craig Ferguson at 12:37am on CBS. 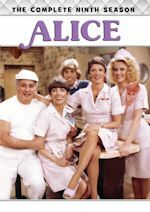 Suzanne Somers (Three's Company/Step by Step/She's the Sheriff) - Suzanne guest co-hosts a repeat of The Talk on CBS at 2pm ET/1pm CT-PT. Kelsey Grammer (Frasier/Cheers) - Kelsey stops by The Wendy Williams Show at 2am on BET or on your local stations. Joel McHale (Community) - Watch Joel on a repeat of Jimmy Kimmel Live! at 12am on ABC. Mark-Paul Gosselaar (Saved by the Bell) - Catch Mark-Paul on a repeat of The Talk on CBS at 2pm ET/1pm CT-PT. Jami Gertz (Still Standing/Square Pegs) - Jami is a guest on a repeat of The Talk on CBS at 2pm ET/1pm CT-PT. 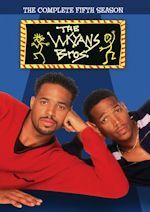 David Alan Grier (Life with Bonnie/DAG) - David appears on The Wendy Williams Show at 2am on BET or on your local stations.